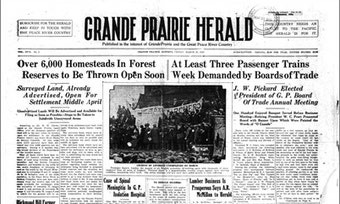 If you determined your ancestor settled in the Grande Prairie and Peace River area, start looking for death related records like obituaries, death notices, gravestones, funeral records, death certificate, etc. Using these records will collectively help you identify next-of-kin, birth, cause of death, residence at death and more. 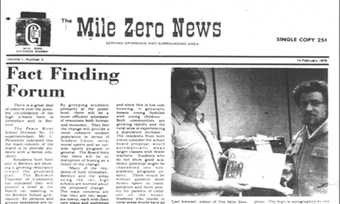 A primer to the benefits of using newspapers for family historians in genealogical research, plus alternative Alberta resources that have been digitized, microfilmed and printed, please see Alberta Newspaper Indexes on the AGS website. Dedicated Branch members from Grande Prairie and Peace River have contributed long hours to indexing obituaries, and for some—the passion is ongoing. 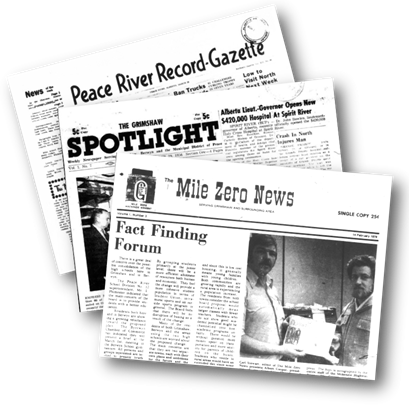 To view citations to the newspaper clippings, click on the image. Learn more about the newspapers found in this index, their coverage and anomalies by clicking on the newspaper mast heads below. 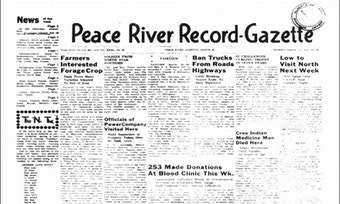 The Peace River Record started in 1914 as a weekly. 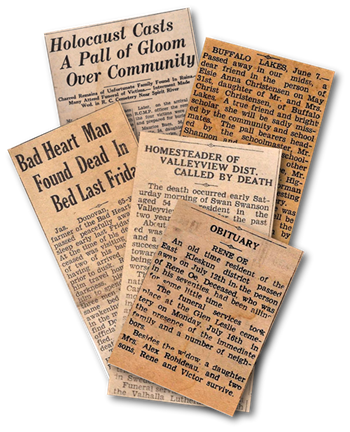 The newspaper eventually amalgamated with the Northern Gazette in 1939 to form the Record-Gazette. Learn more . . .